Half the membership of an all-male branch of the world-famous Lions International voluntary organisation have walked out because their latest member is a woman. 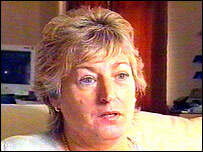 Theresa Walker became the first woman to join Worcester Lions since the ban on females was lifted in the 1970s. But eight members of the branch decided to leave when the 57-year-old transferred her membership from Boston in Lincolnshire where she had been club president. Worcester president David Orr now presides over only nine members. Mrs Walker, who is the club's public relations officer, said she had been told the members' decision had not been personal. But she said: "I was quite surprised because I hadn't come across this in Lincolnshire where I was a member for six years. "I really don't know why the members resigned, the club have protected me from it so they really have looked after me." Lions International was founded in 1917 under the motto "We Serve" and is the world's largest voluntary community service organisation. Speaking about the resignations, Worcester president David Orr said: "They saw it very much as a man's club. "I think the club felt that we had to move away from it and look to the modern way and be more open and inclusive than we had in the past." The club is hoping the members who quit may return soon. "The club's hoping their errant cubs may soon return to the fold"